I was still a contemporary dance student in Scotland when my ingenious mother came up with the idea. She had read an article about a celebrities' retreat including detox and yoga and thought that this would be an excellent use for the family holiday house now that her daughter was getting quite serious about something that did not seem to have the best career prospects: yoga. My friend from uni, Nikos, made the website in April, and in June we held the first course together with a teacher friend, Marcos. My greekified Australian mum cooked delicious veggie dishes, following my instructions for the use of novel and somewhat obscure healthy alternative incredients, and for her own, imposed by me in my new convert's enthusiasm, "spiritual practice" of mouna (silence) quite diligently! There were four guests: a dancer friend from Scotland, two lovely ladies from Paris, and a woman researching retreat centres for a soon to be published book. What beginner's luck! 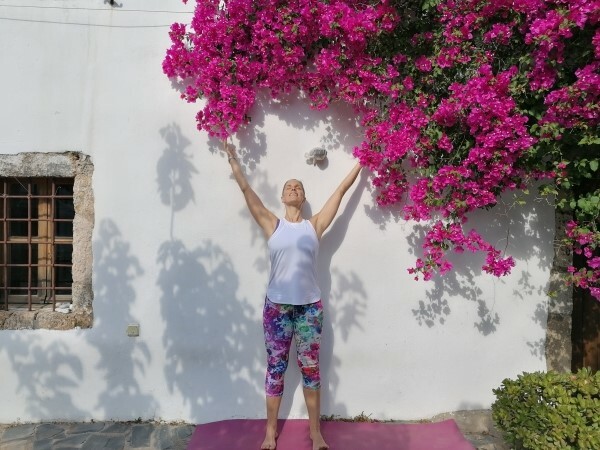 Eugenia teaches yoga at an idyllic guesthouse on Crete and describes her journey of self-growth that led her there. Yogis (and yoginis, which as I found out from Eugenia is what women yoga practitioners are called) radiate a sense of peace that is transmitted during a yoga class, as well as just a short chat. I must, therefore, say that I felt overly peaceful on that evening, after a two hour class at Eugenia's yoga studio in Psirri, and around two more hours that we spent together for the interview and a relaxed drink. And I admit that there are very few persons and situations who can nowadays alleviate my stress and slow down the fast rhythms of everyday life. It seems that Eugenia (“evgenia” in greek also means politeness, and it seems that she embodies the meaning of her name) is doing something well. Psychologist, dancer, yoga teacher, business woman. Can all this be combined? 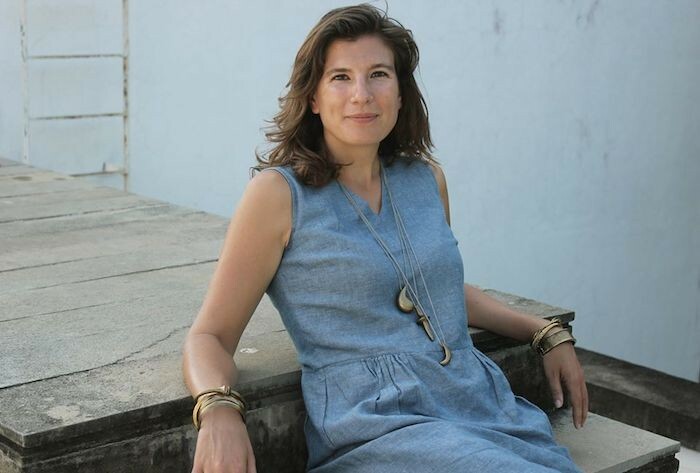 Eugenia Sivitou begins to tell the story of her journey and the transitions from one field to the next, changes which, as I will soon understand, were neither smooth nor without their toll. "To be honest, I do not remember much from my first encounter with yoga. I was on an exchange programme as a psychology student in Germany and wanted to try different physical activities – trampoline, ballet that I had also practiced as a child, yoga. I remember being surprised that this form of exercise took place on the floor. This experience left an unusual impression on me. Yoga had not yet become well known in Greece at that stage, 14 years ago. Next, I did a postgraduate degree in Sport and Exercise Psychology, but finally decided I wanted to become a dancer. We had yoga on our curriculum, in my 3 year dance training course in Scotland. I loved the physical aspect of the practice of yoga, and this is what initially won me over. A little later, I thought of taking it more seriously and decided to look into becoming a teacher. There were even distance training courses that I came across in my research, which do not require any physical attendance. Traditionally in India, one learned yoga from a teacher, with whom the practitioner would have to stay for several years. My first teacher training was in Spain and lasted a full month, from morning at 6 am till night at 9 pm daily. It was a course run by a large worldwide organization, Sivananda, which has taken its name from the great Indian teacher who instructed a student of his to bring yoga to the West in the 60s. One of the main visions of this tradition is to cultivate peace in people, in order to bring peace to the world. Quite ambitious! But, in reality, it just takes learning to relax and breathe correctly, for a change to begin”. At the beginning of July last summer, and for three days, although life continued as normal at YogaOnCrete, an advertisement filming crew gave a different, exciting feel to the place, behind the scenes. One of the highlights of their visit was a 5.30 am boat-trip to Sweet Water beach to catch the soft morning light, following the commands of the director, a now new yoga enthusiast! I had the pleasure of showing them my favourite diving spot, from the Three Rocks outside the village harbour, as well as the beautiful architecture and serenity of the abandoned Aradaina village. We took a boat trip to the nearby village of Loutro and experienced the area's magical turquoise waters up close, and once their work was done, they had a taste of some, much needed it seemed, yoga. Special thanks to George Chorevas for coordinating the project, director Thanasis Tsimpinis and the rest of the team for their beautiful work, and all the joyful beings who patiently and happily took part!! "Physical health is not a commodity to be bargained for. Nor can it be swallowed in the form of drugs and pills - it has to be earned through sweat. It is something that we must build up." B.K.S. Iyengar was the founder of Iyengar Yoga and is considered one of the foremost yoga teachers in the world. He lived to the age of 95, and over his 80 years of dedication to yoga practice he refined and perfected the technique of doing yoga poses that is widely taught throughout the world. 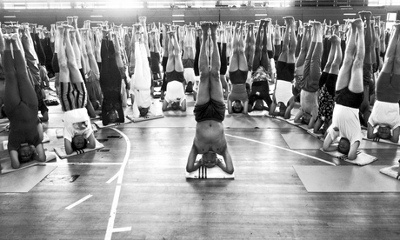 Iyengar began life as a frail and sickly child; in contrary, in his 90s, the yoga master would stand on his head for 30 minutes to start his morning yoga practice. In his book, Light on Life, he explains how physical weaknesses led him to take up the ancient practice of yoga: "My poor health was matched, as it often is when one is sick, by my poor mood," he writes. "A deep melancholy often overtook me, and at times I asked myself whether life was worth the trouble of living. Seeing that the general state of my health was so poor, my brother-in-law recommended a stiff regime of yoga practice to knock me into shape and strengthen me up to face life's trials and challenges as I approached adulthood." With winter approaching confidently also on Crete, it is time to look back and reflect on the wonderful experiences, people, and memories gained from this summer at YogaOnCrete! Unfortunately, our Sound and Voice Therapy and Movement Medicine workshop with Laura did not take place in June, but the summer was nevertheless complete with expressive, artistic, as well as other soul-nourishing, and in this sense, therapeutic experiences. 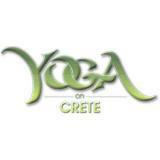 Our new outdoor yoga deck is itself a real gift and wonderful addition to the ambience of YogaOnCrete. The first time I saw it filled with people I was really moved and excited about what our future guests would have the opportunity to experience here. Yes, there are ants and the odd olives dropping from the trees (!! ), but the three strong olive tree trunks, interspersed in the space, are themselves teachers of rooting, trusting the earth, and drawing from it as a base to reach up to the sky, with soft, supple, graceful branches. Days come, days go. Some last an eternity, others fly by. Some are cheerful, others uneventful. Yet you can be sure that the sun and the moon will rise and set, that the birds will sing in the morning. Slowly turn your attention to the day ahead and set an intention. What matters most to you today? An example could be "I want a loving relationship," or "I want to deliver a flawless presentation." Repeat it a few times, write it down or pick an object like a bracelet or picture to remind you during the day. Once you’ve made your intention clear, you’ll be surprised how often it comes true, usually in an unexpected way. 2. Follow a morning practice. 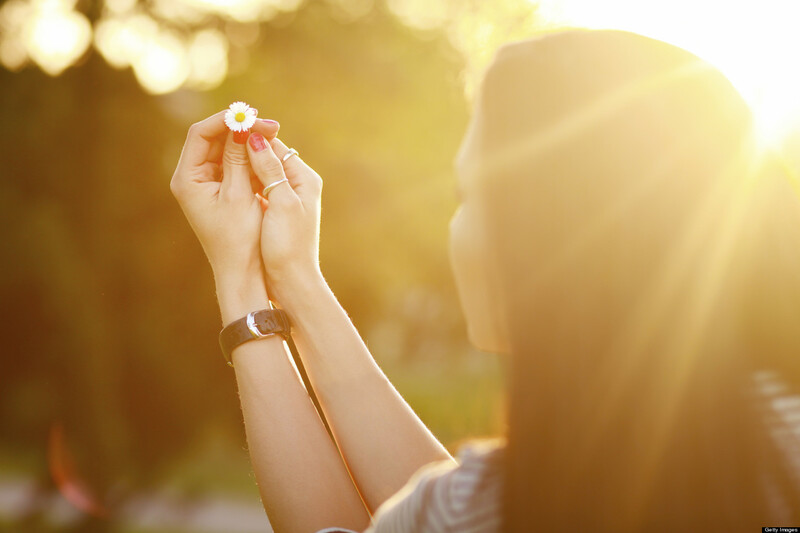 Dedicate a part of your morning to a routine, such as yoga or meditation. If you prefer to putter around the house or go for a run, that’s fine too. Most importantly, create an oasis of calm so you can anchor yourself in your values, even if only for 10 minutes. If you have a family, carve out some time before everyone wakes up, or during your commute. My own practice combines meditation and yoga. It normally lasts an hour, but I can shorten it to 30 minutes. Meditation stills my mind, and mindful breathing connects me to life’s flow. Yoga offers an opportunity to love my body. I add restorative or energizing poses according to my body's needs. Even after sleeping restlessly, 10 sun salutes will refresh me. The food you take in makes a big difference to your day, but first make sure your food goes out! Rehydrating your body does wonders to kick start your digestion. I drink a liter and a half of lukewarm water and herbal tea every morning, ideally before starting my routine. Then it's time to think about food! 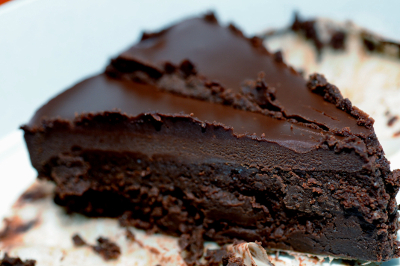 What are you craving? What does your body need? If you're fighting a cold, add turmeric or echinacea to your smoothie. If you're anticipating a demanding day, make a filling breakfast, like oatmeal. I mostly eat fruit and vegetables to complement the body’s nightly detox. Think of breakfast literally — better not to break your fast with a huge meal! Now we're ready to move. Whatever comes your way, keep it simple. Flow with the day, observe what it brings, and play with it. Keep your mind cool, your heart open, and you'll make sharp, intuitive decisions. This is not selfish or self-indulgent. The more you do the things you love, the more fulfilled you’ll be. Consequently, you'll have more energy to grow and be available to the people you love. At least 30 minutes before going to sleep, set your devices on airplane mode. Keep your bed for sleeping and only go there once you're ready to sleep. Set your alarm for the 7-9 hours of sleep you need plus a little extra to account for falling asleep. The more regular your sleeping, the easier your body will unwind and rejuvenate. A Certified Relationship and Career Coach, I enjoy coaching a broad client base – from entrepreneurs to executives, mothers, academics, designers - in person and over Skype. 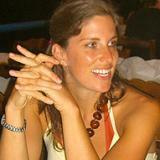 I also facilitate workshops and retreats in Europe and India. I draw upon my yoga and meditation practice as well as my strategy consulting background to help clients find a balance between thought and action, between being mindful and impactful. I love my work which give me the freedom to combine personal, professional and spiritual growth. "Julie's sessions are inspiring and energising. She helped me gain confidence in my life choices and discover more about who I am and what I want out of life." A fascinating explanation of some of the benefits of Downward Facing dog (Adho Mukha Svanasana), as seen from the perspective of acupuncture! This pose is considered to be one of the most complete poses, in that for the legs it requires the work of a standing pose, while for the arms it is an arm balance, for the front of the body it is a backbend, whereas for the back of the body it is a forward bend and, in addition, it offers the benefits of (increased circulation of blood in head) and prepares for inversions. Enjoy your practice! 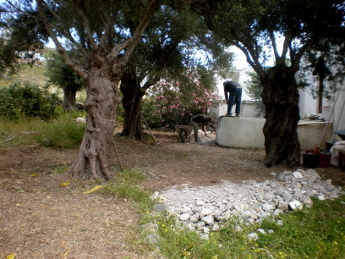 Works began with the water tank at the back of the house, among the olive trees, which was lowered down to ground level. Are you a hiking enthusiast wanting to gain even more enjoyment out of hiking? Then this course is for you! Join us at YogaOnCrete (12-19 June) and experience lightness of body, mind and spirit through the twice daily practice of voice and sound therapy, and movement medicine, along with daily encounters with the cool, turquoise Mediterranean waters at quiet beaches, idyllic unspoilt surroundings, wholesome local food, excursions, and a warm and welcoming group of people that will make this experience unforgettable! "The Buddha gave a teaching known as "the precious human birth", in which he described how rare and precious it is to take birth as a human in the vast cosmological scheme, and how as a human it is so rare and precious to experience just the right mixture of pleasure and pain to undertake deep spiritual inquiry. The practice of yoga is a dive into the deep. In a way, there is no turning back, as we start to see ourselves, others, life in general in all its different expressions through new eyes. Are we ready for this change? Why embark on this practice?